Every now and then, the 7-Imp portion of my brain realizes that I don’t spend enough time focusing on board book illustrations, art for the wee’est of humans. This morning I shine the spotlight on Joyce Wan, whose art, she tells me, is inspired by Asian traditional and popular culture. She also comes from an architectural design background and loves creating those books for wee ones that are tactile or contain interactive elements. 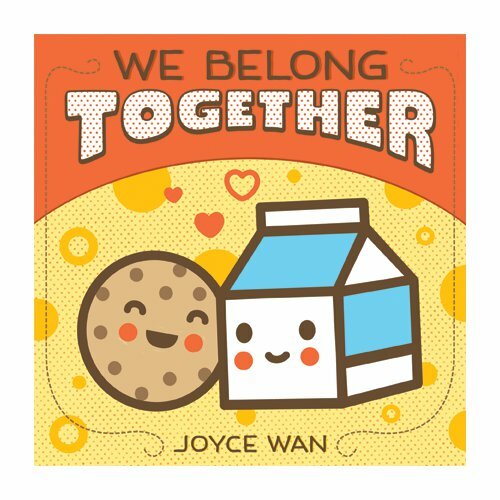 In September, Joyce followed that book with We Belong Together (also Scholastic/Cartwheel), just selected for entry into the Society of Illustrators’ 2011 Original Art show. 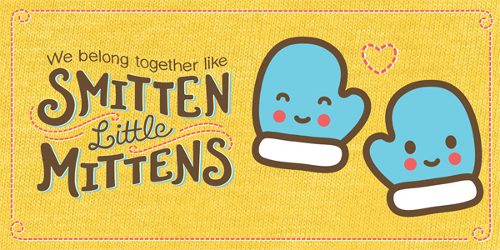 This one’s an ode to pairs, because peanut butter and jelly and hot cocoa and marshmallows are good, but parent plus baby is much better. These are vivid, densely-colored illustrations, many with pleasing patterns for the wee eye, and as you can see, there’s a lot of pizzazz here. These are short books with embossed illustrations, which baby will want to reach out and touch. Joyce, pictured left, also happens to have her own stationery and gift design studio. For those wanting to see more, Wanart is here in cyberspace. You will also see at that site that she teaches courses on the business of greeting card design and art licensing at New York’s School of Visual Arts. 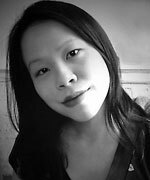 All art is copyright © 2011 by Joyce Wan and used with her permission. Manuscript deadline. Manuscript deadline. Manuscript deadline. And apparently all I can do is mutter in short, tiny sentences. Still typing. Still noting references. Still slammed. But just for now. It will all get turned in this week. So, back to work. Oh, except to say that I hope all of you on the East Coast are a-okay, given the wrath of Hurricane Irene. Please do tell me your kicks. I will enjoy the break, reading them. 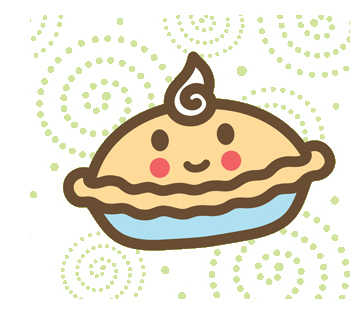 Thanks for the pie and cupcakes! Joyce’s books are darling. My kick is surviving a quake and a hurricane in the same week. Other than rattled nerves, we were very lucky not to have sustained any damage to our home and property. Good luck with your manuscript deadline. Manuscript deadline. Manuscript deadline. You can do it. All will be well. Drink coffee. 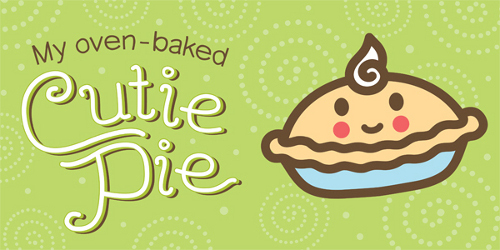 Eat pie. Jama, whew. So glad you all are okay. I mean, REALLY. Earthquake and hurricane in one week. FOR REAL. Amazing. I am, indeed, about to go get coffee. XO. What two really sweet book. A second grade teacher has her daughter’s board books in a basket in her classroom now that the daughter is 7. The students absolutely love them! Jules, keep working. Keep working. Keep working. Jama, so glad everything is okay for you. Cant’ believe that two giagantic events happend last week on the east coast. My kicks are short. Mostly I am glad that friends and family are safe back east. I am redoing the computer/writing room and its coming together. Picked the first tomato today, yum! Good luck with your manuscript deadline! Jone, are you all getting rain there, too? (I mean, I know it’s not Irene-related, duh, but I’m just hoping you are having good weather.) Have a tomato for me. Joyce, thanks, and why doesn’t my research right now require cupcakes? No fair, I say. 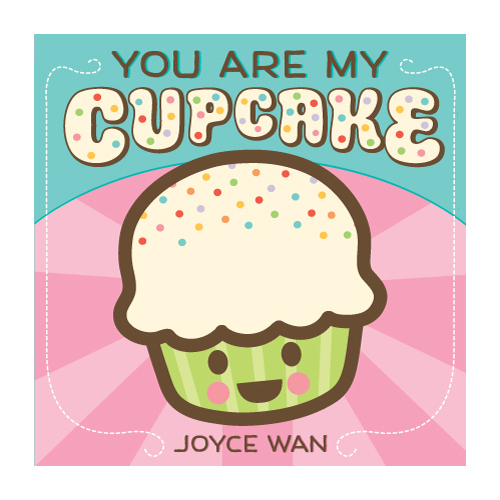 Yes to Joyce Wan’s choice of sprinkles! On cupcake and the TITLE. Jules – I think you’re due a cupcake or a donut (w/sprinkles) with that coffee; a good ole sugar rush can do wonders in a crunch. Good luck! Jama – Survival is a very good kick. joyce – Red velvet rocks. Thanks for sharing your sweet book. 1. Younger son and hubby off hiking, camping in San Gorgornio Mts. It was fun watching them discuss (so serious!) and pack for the trip: sleeping bags, protein bars, freeze-dried Pad Thai, Swiss army knives. They proudly called me from their camp near the crest ridge yesterday. 2. Kidlit potluck last week. Party was planned from 4:30 to 7:30pm, but we were still drinking wine and sharing ideas and laughs at 9:30. 3. Listening to “The Hobbit” on CD in my car and reading “The Monstrumologist” in cafes. In an August dark-quest mood, I guess. Have a good and natural-catastrophe-free week all. I’m glad you’re OK, Jama! That storm looked huge! 2. Board game night with family Saturday night. Lots of laughing. 5. Before I lived in the UK I was never amazed the way I am now that jasmine flowers here in winter. And we have a prolific bunch taking over a bit of the fence and nearby tree here – looks and smells gorgeous. I seemed to have chopped of the start of my post! Good luck with the book, Jules! And I love board book recommendations at the moment as my niece is fond of dragging books around with her so tough but good books are a necessity! Hope your first tomato was delicious, Jone! Enjoy your quest month Denise! 3. I am glad the earthquake was just a little blip in the week- what a week it’s been! 7. I am glad I got to 7 kicks- even if I cheated a bit! Good Luck this week Jules! Go Book!!! Here I am, still alive. That’s a kick. 1. Oregon Museum of Science and Industry rocks. In the chemistry labs, you get to do chemistry experiments. In the physics labs, we got to play a theramin and make our hair stand on end (not at the same time, though). 2. After I run, I put vegetable-themed stickers on my calendar. 3. My daughter is drawing a series of comics that involve a guy named Don and an atom that speaks (it fell off his hand and follows him around, emitting innocent utterances that spook everyone). 4. I went to the market, and I brought home raspberry-peach jam. 5. The premise in Scott Westerfeld’s Leviathan that Darwin discovered DNA as well as evolution. 6. Judy Garland’s “Somewhere Over the Rainbow” always gives me chills in The Wizard of Oz. 7. In our house, “If you stomp on someone, it means you want to be stomped on” has become a catch-phrase. Bonus kick: Yesterday, during a walk, my daughter stopped in the middle of the street with a shriek of joy. She has been obsessed with finding the true title of “The Thinking Song” that an ice-cream truck plays. We went to the ice-cream truck and asked the owner if he knew the name of the song. He didn’t. I bought an ice-cream sandwich and then made a recording of the song with the audio note feature on my phone. We’re one step closer to finding the song’s true name. Emmaco, never underestimate the power of a fun board game. And I just realized I don’t think I’ve actually ever smelled jasmine. Hmm…must remedy that. Stacey, I hope the job will still be literacy-coach-related and such…Good luck! Glad you all have power and are safe and such. Farida, my kick #8 (but really I’ll move it up to #1) is that the tree in MD never hit you. Also: I’m going to email you something RIGHT NOW. Fly by posting to check in and make sure everyone is okay, safe and sound from the storms. Wishing you and yours well. BE SAFE. Jules & company, good luck with the manuscript! Sorry for the short post. All day tech rehearsal so I wasn’t online. Just wanted to say hi. 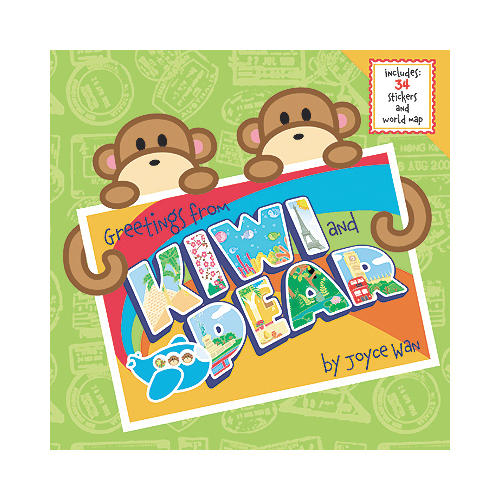 I am belated, but I am LOVE Joyce’s board book art (and the notecards, THE NOTECARDS). I’m glad to hear all are safe and sound, too, and I am still cheering you on for your deadline, Jules. Coffee, coffee, coffee. Boohoo, I’m late too. Ah well. Better late than never, eh? 7. Still crazy about Josh Garrels. Adrienne, if you approve of Joyce, that’s even better, ’cause I know you know your board books. Thanks for the cheers. Back to the grind. Thanks to you all for visiting and sharing happy things. How do you mean, share it, seeing as I have no blog of my own? Oh, oops. You could email it to me, and I’ll share it here! (Only if you want)…. Oh! Thanks, I will! 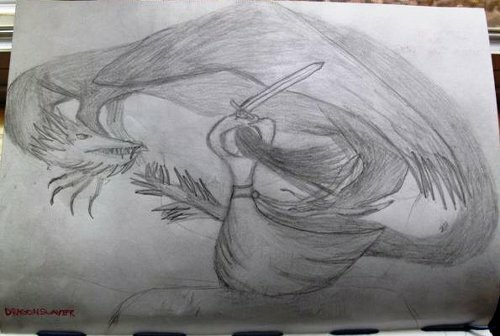 As soon as it’s done, I’ll take a picture of it (my scanner is terrible) and send it on. 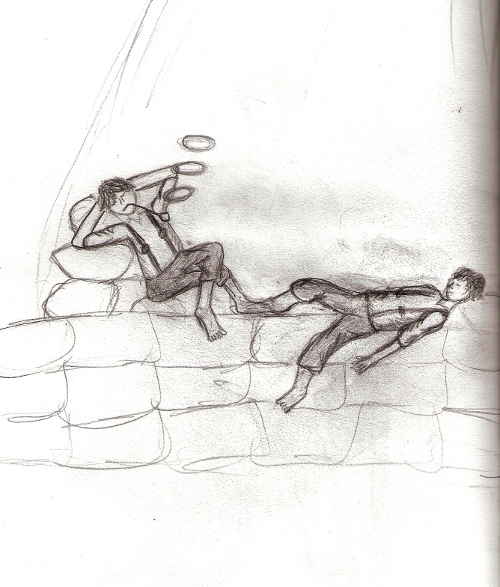 I still have another hobbit to draw! But I would love it (actually, I’d be quite honored) if you posted it here. Keep a lookout for it in your email!